Sometimes, in our pursuit of excellence, we lose sight of the simple things. 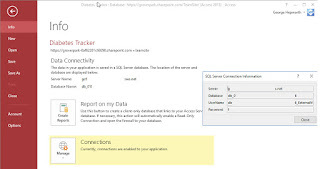 I was reminded of that again today by a post at UtterAccess.com.The question had to do with a gnarly SQL syntax which, on the surface, appeared to be a UNION query, but Access wasn't recognizing it as such. Several of us were stumped at first. Starting on the 7th line in this formatted view, we have an inline subquery. Formatted this way, that's fairly clear. When viewed in the undifferentiated mass within the native Access query editor, that just wasn't clear at all. WHERE [Pull List]. [Debit Flag] <> "Cleared Debit"
AND [Pull List]. [Deviation Code F] <> "82"
AND [Pull List]. [Deviation Code] <> "82"
Leaving aside the question of how well this SQL works, whether it can be better optimized, and so on, the ability to apply "pretty formatting" to it, paid off handsomely in helping the poster past a nasty conundrum. 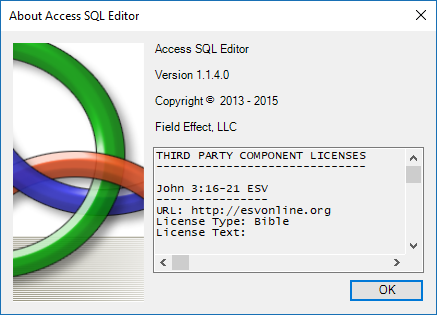 It's called "Access SQL Editor", from Field Effect, LLC. When I bought it, the license was only $5.00 (US) and it's paid for itself over and over and over in situations just like this.